Yeah We Can Do That! 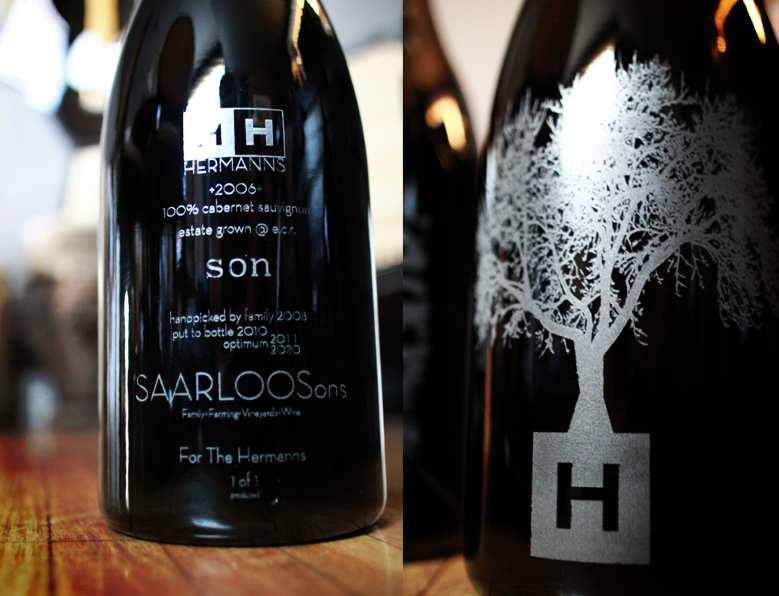 Just Email Keith@Saarloosandsons.com to connect and get the ball rolling after you purchase your bottle. 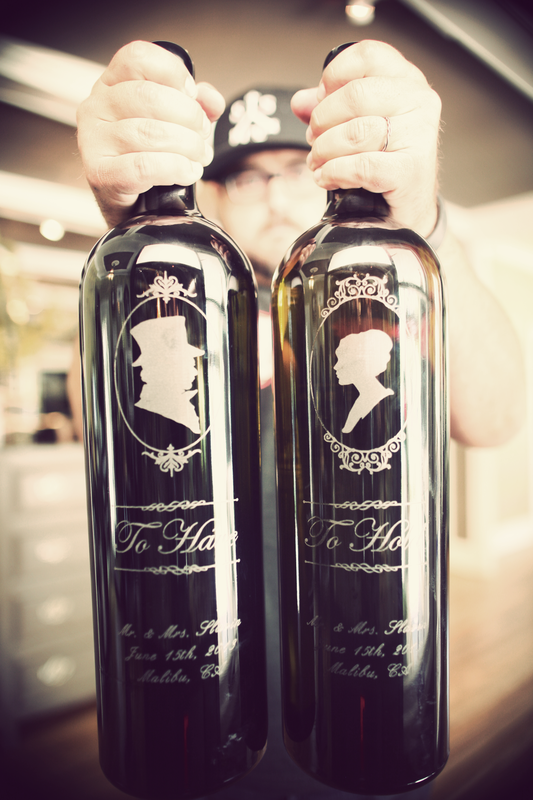 Thanks for taking a interest on our Custom Wines. It is a labor of love that I enjoy. I don't have a HUGE list of them, because it is a pretty private thing. But I have a few photos of some of the ones we have been approved to share.... 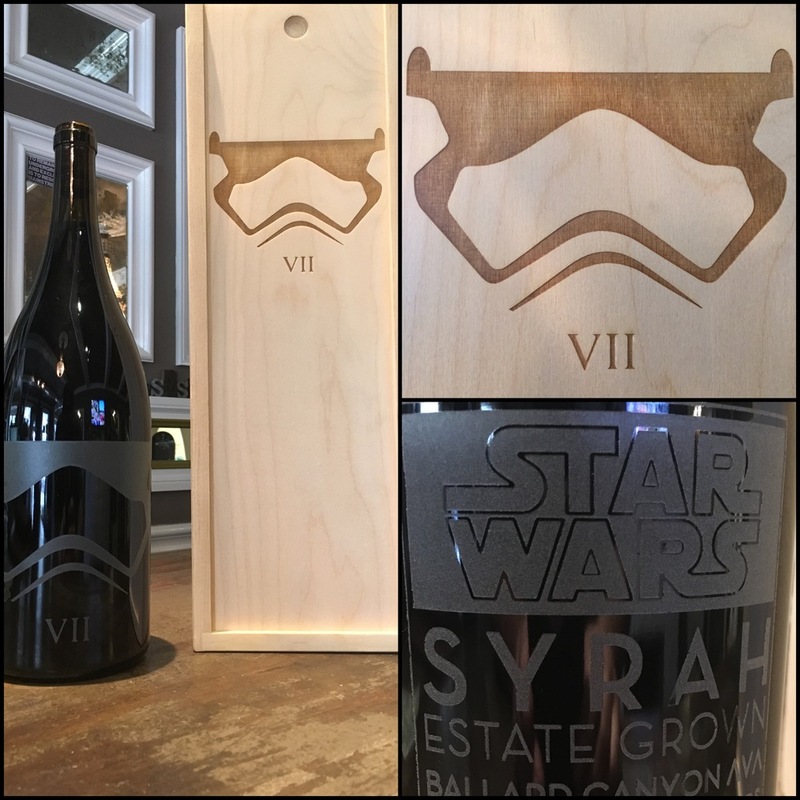 I wouldn't use your wines to promote it to other people, unless you say ok.
We can etch them with anything you would like. If you would like to design it, GREAT! Or you can give me an idea of what you would like and I can do everything. There is an added cost for that but if you like the first design..... we can make it easy. The Regular Sized Bottle can be any type you would like that we have on hand. The 3 ltr is 6 bottles of wine, and can be any type you would like. The 6 ltr is almost a case of wine, and can be any type you would like. A Barrel YES A BARREL- KEEP READING BELOW. IT IS JUST THAT GOOD. 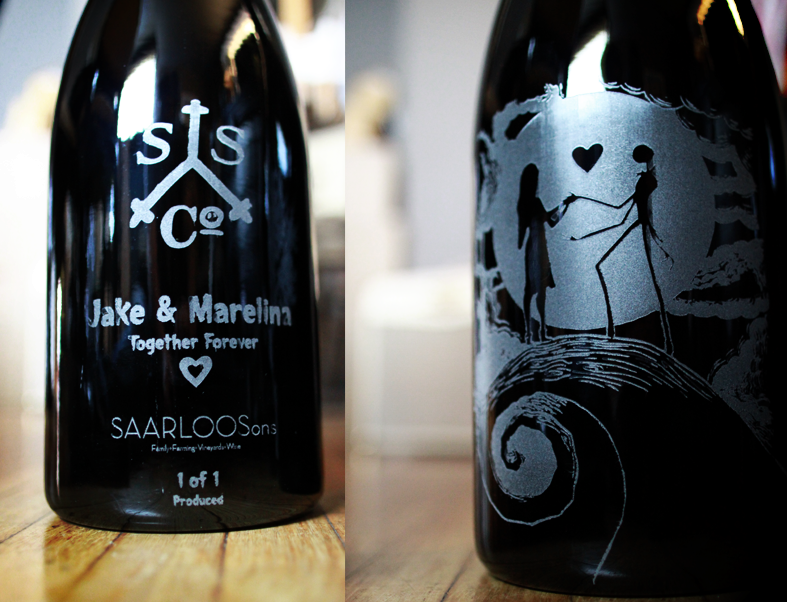 If you buy 25+ Cases we can make a special label just for you, and you get to Keep the Barrel. We can also custom make and engrave a wood box if you like.That Really Sets it off. - WHY NOT BUY A BARREL. That barrel holds 25 Cases of wine. Those Cases hold 12 Bottles each. So 1 Barrel of wine holds 300 Bottles. Now I know that it seems like its a lot of wine, but really it isn’t. If you open a bottle with dinner a few times a week, you WILL drink it all. People always say… That's a lot of wine, but then, they call me a few months in and say, we have to do that again. There are a couple really cool parts to this. 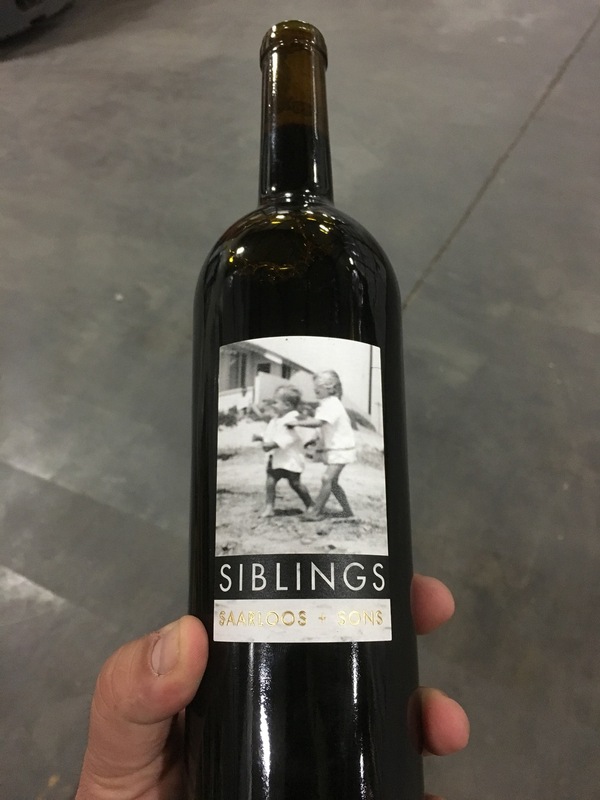 We will design you a custom label just for you. That's right this wine will be 100% yours - you pick the photo you want to have on the front and BOOM. Your very own custom bottle is yours. I'll take care of all the design stuff, we just need to chat and I will have what you want to you in 2 tries. Here is where it gets extra amazing. If you put your companies name on the bottle, or your charity, BOOM. 100% Write Off. 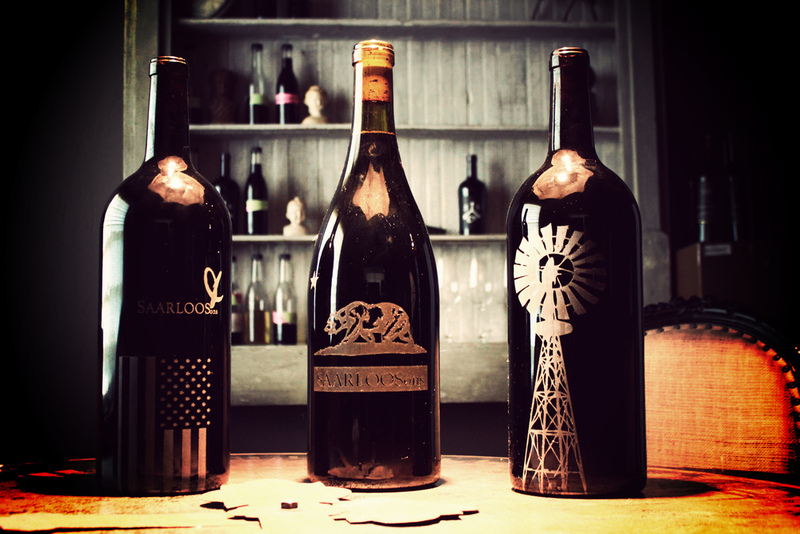 Since we hold the wines that we custom bottle for an additional year, our scarcity has pushed that vintage into the $200+ price point. THEN, since these bottles are yours and scarce as they come, the value of these bottles is right at 80 - 100 per bottle, yes market rate is around $200 but I think 100 is fair. So, when you Donate a case to all of the people that ask you for a donation, you have in fact donated 1200 worth of wine to them. You ask for the donation receipt for your records. Do this 9 times and you have replaced the cost you paid for the barrel + $800 in tax savings. 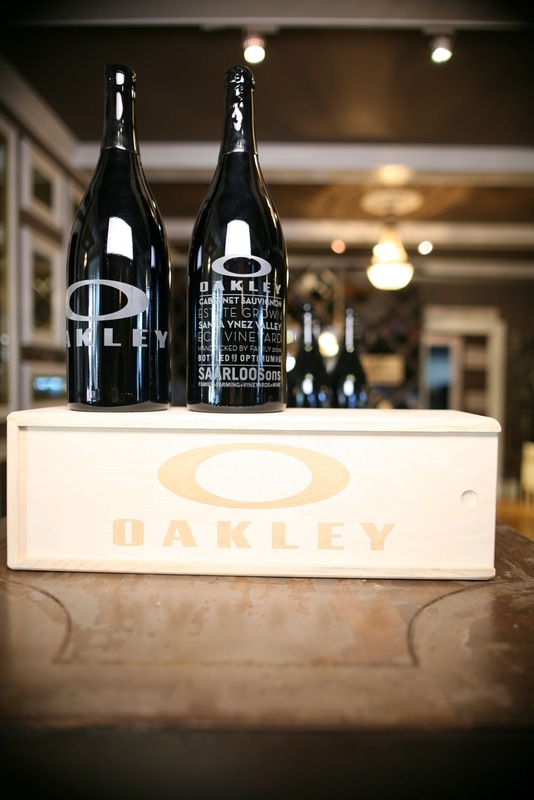 So, to recap - 300 bottles of wine that are 100% yours in style and look. 100% write off as a promotional expense if a business or a charity purchase it. 100% Tax deduction after you donate 9 Cases. and way more charities than I can count. 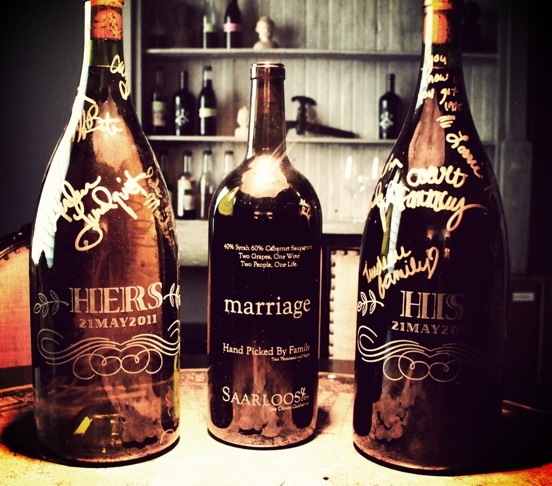 Wedding, anniversary, a one of a kind gift, or just like seeing your name on large things? 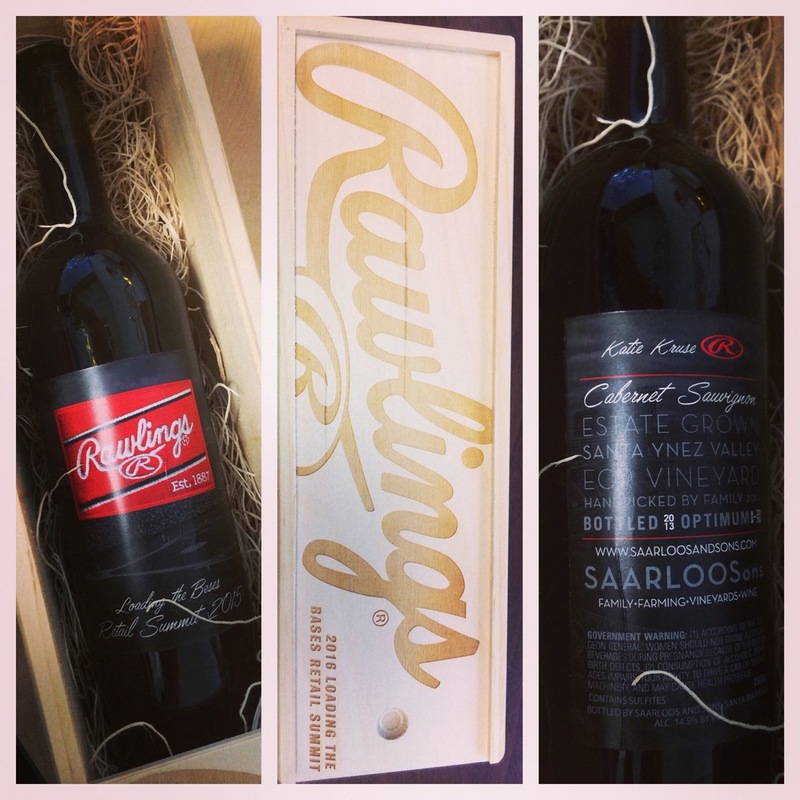 Contact Keith Saarloos to have him create a wine just for you. 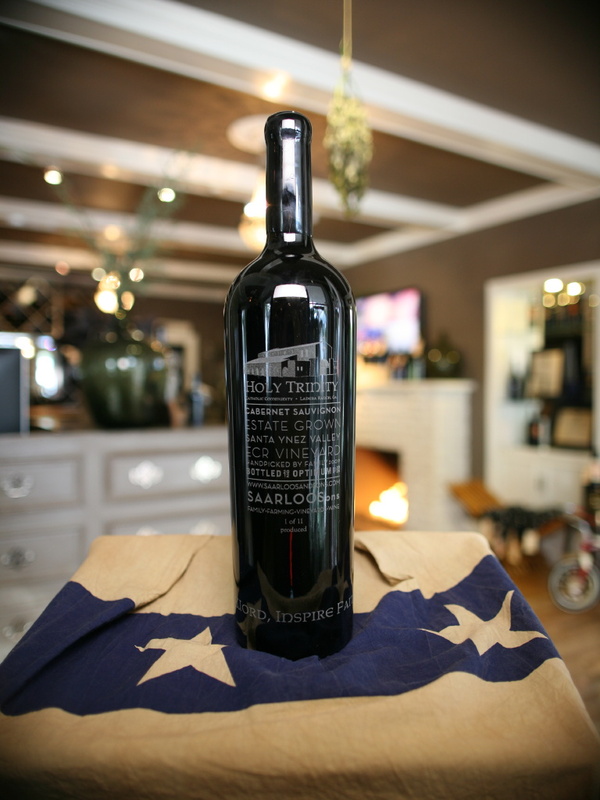 Every Aspect about this wine is a custom experience. Whatever you want, we can do it. He will Create A wine Just for YOU. All you have to do is send Keith a email and he will make it perfect.